According to sources of SamMobile, Samsung will bring new fingerprint sensor technology to the Galaxy S6, allowing you to no longer swipe your thumb on the home button. Much like we see on Apple’s iPhone lineup, a user can simply place their finger on the home button and have their fingerprint read to unlock their device. While this report makes everything sound groovy for users, it is stated that Samsung will need to introduce a larger home button to incorporate a touch-based sensor. Now, we have all become used to the idea that Samsung will never abandon its home button for Android’s on-screen buttons, but to make it even larger? Consider me slightly concerned. 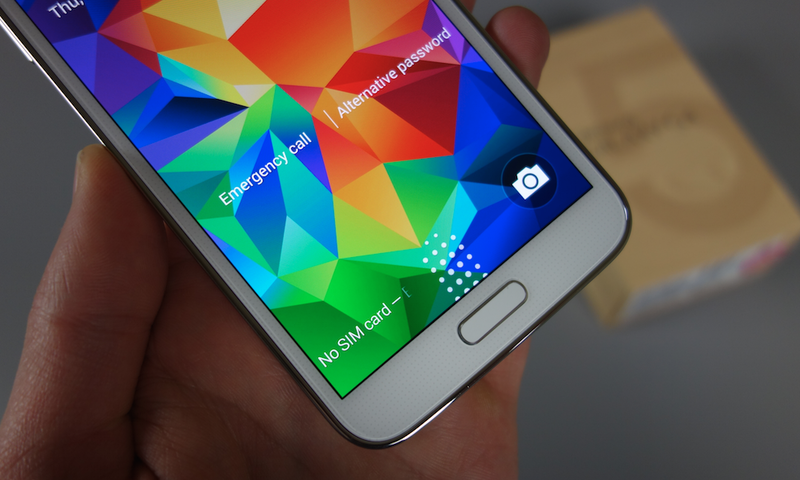 Below, a list of reported features for the fingerprint scanner can be seen. Included is Pay with PayPal, a verification process for Samsung accounts, web sign-in, and a private mode. Fingerprint Unlock: Verifies the user’s identity and unlocks the device. Web sign-in: Allows users to sign into websites using fingerprints. Verify Samsung Account: Verifies the user’s identity when purchasing content in Samsung services. Private Mode: It’s not specifically a fingerprint-exclusive feature, but allows user to choose fingerprint as an unlock method. Pay with PayPal: Allows users to make quick and secure payments via their PayPal account using their registered fingerprints. While there is no doubt that Apple’s sensor works way better than Samsung’s at this time, I don’t know how many folks will be turned on by the idea of a larger home button. Would you mind a larger button if it brought better usability?